Despite serving local governments, the private sector, and branches of the military, SMART Technologies is perhaps best known for its role in education. The innovative products from this Canadian based company have found their way into schools around the world because of their ease of use and cutting edge technologies. The SMART Board is their brand leader, but as time has gone by, many more products have been added to the SMART line up create a truly interactive classroom environment. 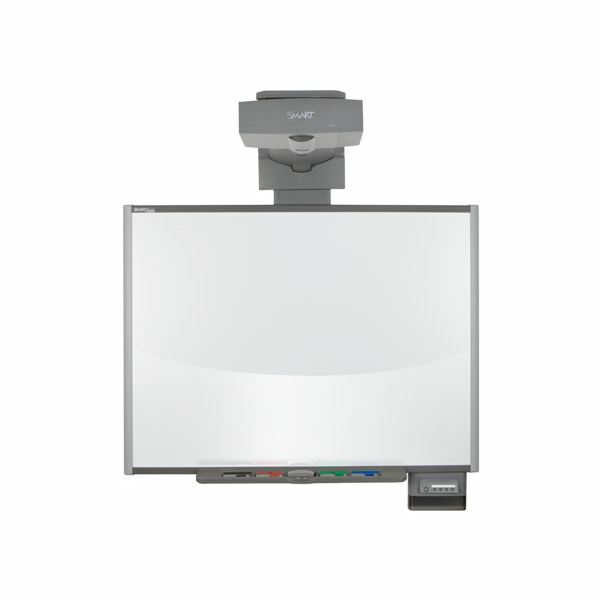 Introduced in 1991, the SMART Board was the world’s first interactive whiteboard. Today, it is an increasingly popular addition to a forward looking 21st century classroom. This giant touch-screen display comes in a variety of sizes and is used to deliver lessons and interactive content to a class. Teachers love its versatility. A SMART Board can negate the need for a traditional whiteboard, overhead projector and even a TV/DVD. Its popularity is enhanced by the wealth of free SMART Board lessons that are to be found on the Internet. Students also love the SMART Board, so expect it to be around for years to come. 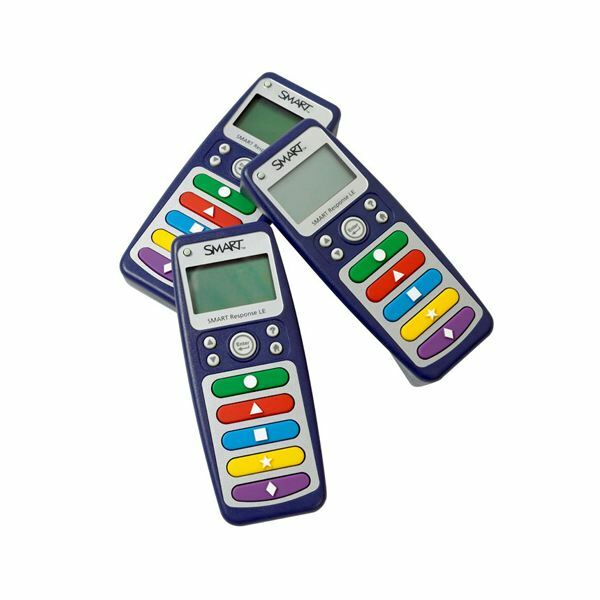 These interactive student response systems are a great way for teachers to quickly and easily assess the teaching and learning in the classroom. SMART make several versions of the Student Response System to cater for a variety of age groups that range from kindergarten aged children, all the way through to high school students. Once you set up a SMART Response class, teachers can either create interactive quizzes that the children answer with their own response unit, or clicker as they are often called. Available question types include multiple choice, multiple answer, true/false, yes/no, and numeric answer questions. SMART also makes its own document cameras. 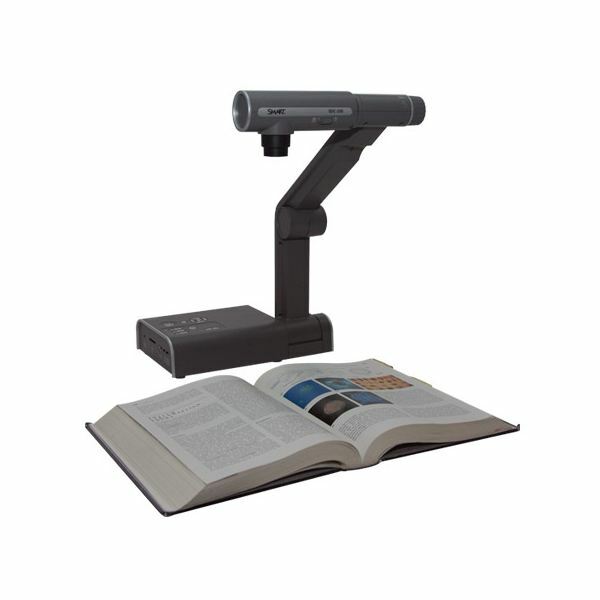 A document camera is like a lot like a video camera on a stand. Anything that you put under it, can be displayed on a large screen via an LCD projector that may or may not be part of a SMART Board setup. They are great for sharing small objects with a large class, looking at a book together, or for using instead of an overhead projector. The latest document cameras from SMART Technologies are even being modified to take advantage of augmented reality advances in order to display both 2D and 3D images on screen. For educational ideas on how best to use a document camera in school, read How to Use Classroom Document Cameras for some popular teacher tips. The SMART Table has a touch-screen surface that students use to manipulate applications with their fingers. It has a multi touch screen that enables a group of students to work collaboratively, and it is durable enough to use in every classroom because of its scratch-proof and waterproof screen. The table is mounted on wheels so that it can be mobile enough to be moved around the classroom, or even between classes. Teachers can create, modify and download activities to use on it in much the same way that you can with SMART Board lessons. Simply plug in a USB flash drive to transfer the new content. The SMART Notebook software is the program that teachers use to create and edit lessons for the SMART Board and SMART Response systems. 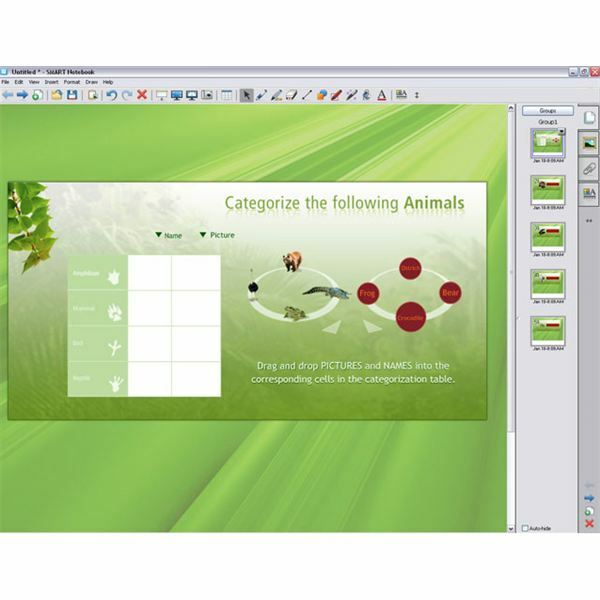 This multi-purpose software is great for creating everything from whole class interactive whiteboard games to small group reading activities because it handles text, graphics, animations and more. Notebook files can be read on Mac and PC, and are easily shared with other teachers online or by email. SMART Technologies even have some Notebook add-ons like the SMART Notebook Math Tools, which includes some extra functionality that middle and high school Math teachers will appreciate. There are also free standalone versions of Notebook that allow you to open SMART Notebook files without having purchased the full version of Notebook. This is useful for teachers who have a different brand of interactive whiteboard, but still want to take advantage of some great content they have found. The wireless slate is a useful tool for teachers to use, because it releases you from the confines of the front of the classroom. 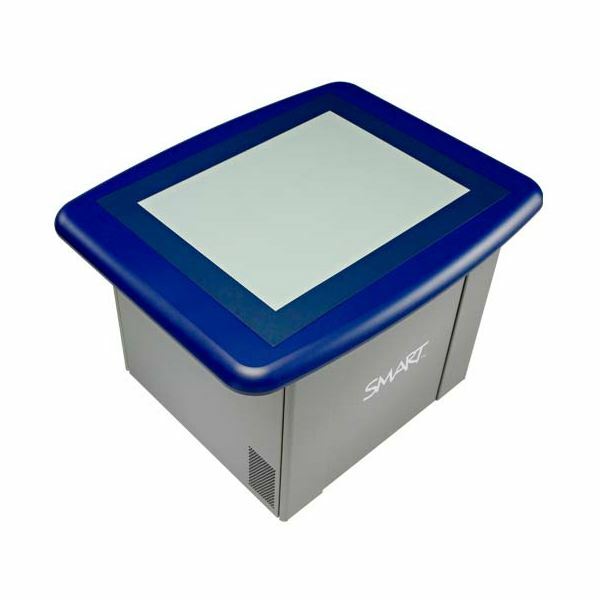 With the SMART slate, you can control your SMART Board from anywhere in the classroom, or give it to a student to do the same. 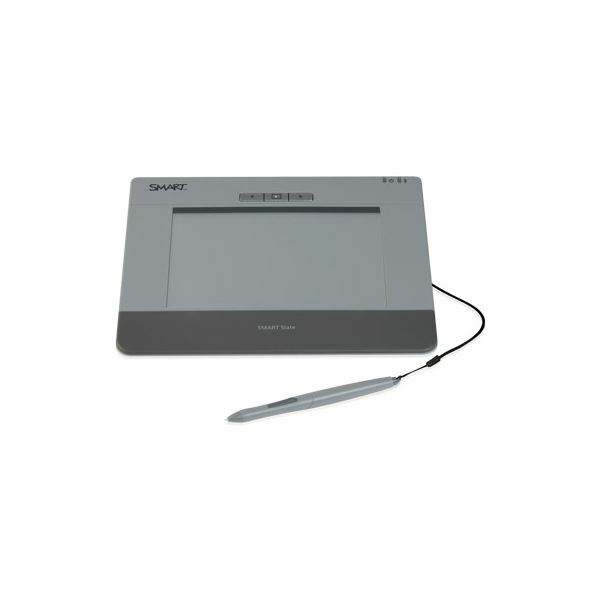 It operates on Bluetooth technology, and comes with a stylus to control mouse movements. If you feel like your SMART Board has glued your feet to the front of the room, then this may be just what you need to get mobile again. So, if you thought SMART Boards were the only products to line up, you would be wrong, because SMART is making continuous efforts to be at the forefront of technology solutions for education users. They do not always provide schools with the cheapest technology solutions, but they do provide some of the most creative ones. Images: Copyright SMART Technologies Inc. All rights reserved.